The Pizza Party Knee High Socks by Sock It To Me celebrate the one thing we love the most - fast food! 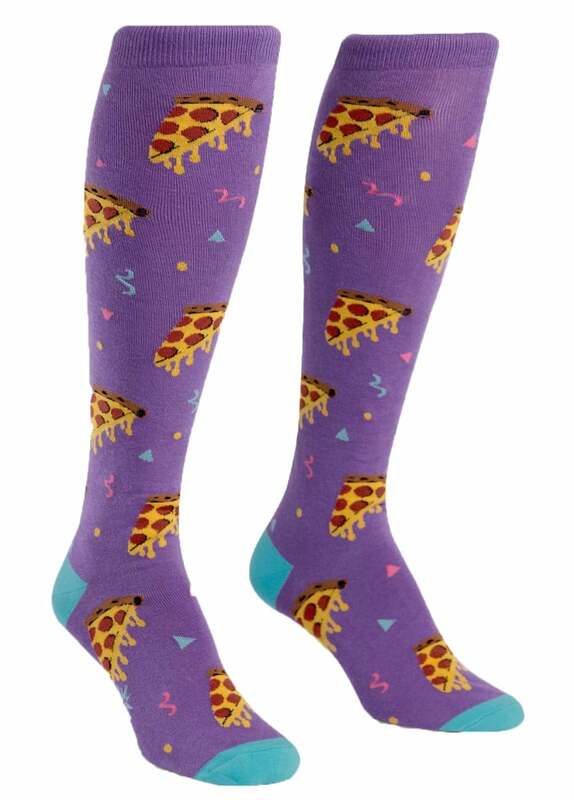 These fun knee highs are sure to make you hungry for a lovely greasy slice of pizza. Mmm!